Thank you for finding us. 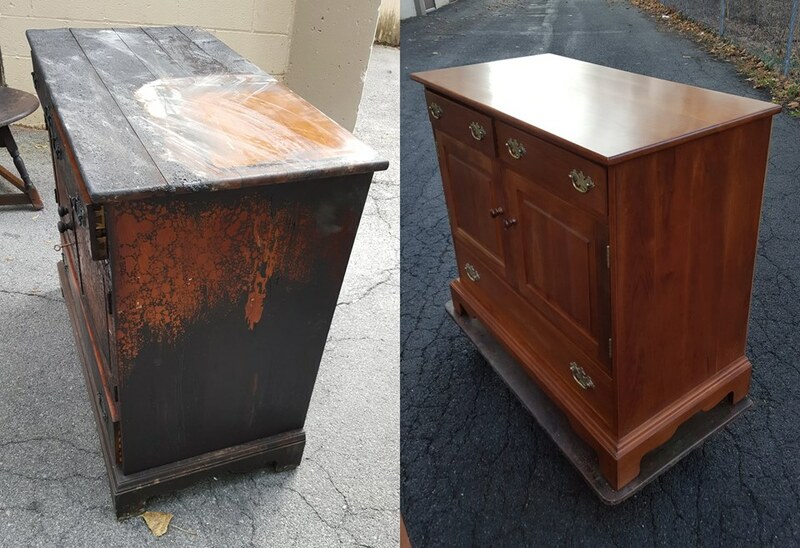 For over 40 years we have repaired, refinished, and restored furniture. Whether it's Stickley, Harden, Antiques, a family piece, or your kitchen chairs, we can help you. We also build custom furniture, kitchens, and mostly anything you might want. We have been proud to work for your grandmothers, mothers, and now for you. Remember, at The Craftsman we make our own colors—allowing us to refinish just the top of your dining table, desk, or conference table—at a substantial savings to you. The photos shown below are pieces of Stickley cherry furniture—before and after. Sometimes a picture IS worth a thousand words.